Bondi Beach is Australia's most famous beach. Bondi's mixture of lifestyles would suit most visitors, whether you're drawn to the fashionable northern end or the surf-crazy south. You'll find that Bondi is one of the better Sydney beaches, simply because it has great surf, good food and great atmosphere. 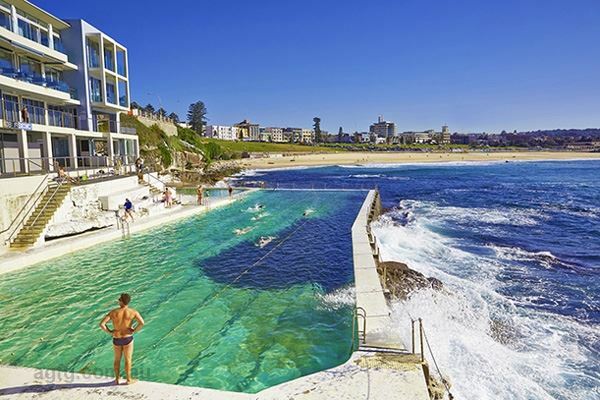 Bondi, home of Australia's oldest Life Saving Club, is popular with the locals who participate in a wealth of activities that include beach volleyball, surfing, jogging, skateboarding on the ramp, roller blading and power walking. Most people end up in one of the many outdoor cafes and restaurants that line the promenade overlooking the coast for brunch, lunch or dinner. The main area of the beach is the Pavilion, where the cafe, car park, theatre and art gallery which draws many of the weekend visitors. The area near the Pavilion is the most popular area to swim and offers the best choice between surf and safety - you can catch a wave without risking the dangerous conditions further south. 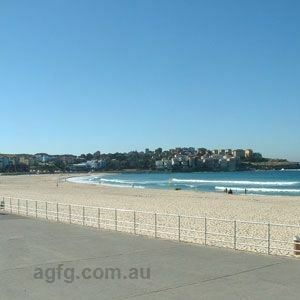 North Bondi is a safer area of the beach, and is patrolled. North Bondi has the calmest surf conditions on this beach.. Stay clear of the rips along the northern rocks and at the southern end of the beach. 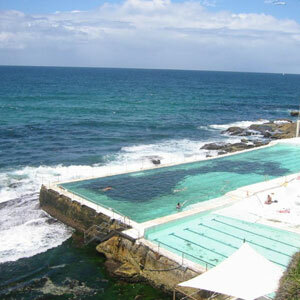 The safest swimming is in the Bondi Baths on the southern rocks. 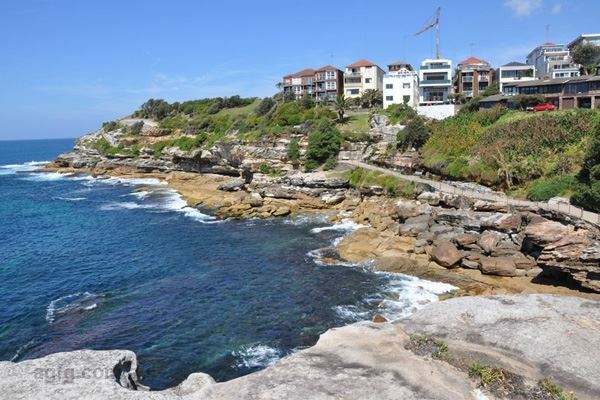 Bondi Beach is also the starting point to popular Bondi to Coogee Coastal Walk. Best beach to soak up the sun, so much to sit back and observe.